Easily find the central vacuum system power unit, part, or hoses with our shop by brand section. Here you can choose any central vacuum brand and find the corresponding products available. This makes it easy for homeowners who already know the brand they have, and may want to replace a power head, hose, or any other accessory. If you cannot find your brand, simply give us a call at our toll free number listed above. Central Vacuum Direct encourages buyers to educate themselves through our site. Doing this will not only save you time but it will also save you money when you do decide to purchase a product from us. An informed buyer that knows exactly what they're purchasing is more likely to be satisfied with their purchase. At Central Vacuum Direct we want all of our customers to feel confident in knowing that they've received the best product at the best price. 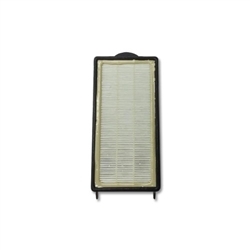 Find parts easily at Central Vacuum Direct.